Your car takes you safely wherever you want to go, but requires you to take care of it to keep driving properly. Caring for your car is just as important to keeping it on the road and getting where you want to go for your safety. Some of these simple maintenance problems can lead to accidents or injuries. Take the time to make sure these 10 things are checked regularly and maintained as necessary and to avoid any accident or claim. car regularly to change the oil, according to the recommendations of the manufacturer or mechanic of your vehicle. 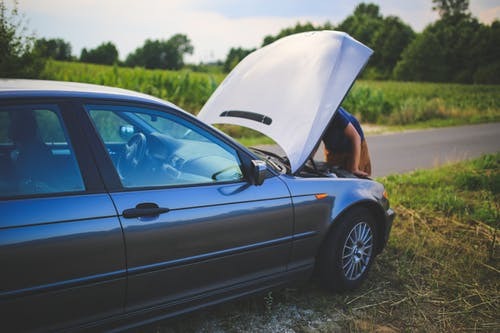 Oil changes are one of the most basic car maintenance procedures and checking your oil is a simple way to detect leaks. It's not just the pressure in your tires that counts. Your tires depend on the tread to give you traction on the road, which is especially important in slippery conditions. Look for signs of wear in your tires and look for bulges or dents that may indicate a problem. A low tread or bulges in the tires can cause skidding or road break-up and cause an accident. It is dangerous that one of the lights in your car is not working properly. Make sure you regularly check your turn signals, your brake lights, your backup lights and of course your headlights. Even if you are likely to catch a lighthouse off, you may run out of a brake or tail -light that is not working properly. These are essential to inform other vehicles of what you are doing or about to do - and to prevent accidents.